"A garden grown with the help of digital sensors—in your kitchen. A group of Russian immigrants, unmoored from the past, grappling with the future, standing in the looming shadow of their closed factories as tension grows on both sides of the border. Jewellery made from seahorses— and cosmic dust. Skype and its discontent. These are things you’ll find in the small and windswept Baltic nation of Estonia. Stories of the talented people who are creating there are what’s to be found in Woods and the Sea. In the telling, then, are their wry, hard-won and aesthetic insights into economy, culture, life and making things. Estonians live in a turbulent environment. Everyone knows everyone. Its designers engage every current, from stern Soviet orthodoxy to whirlwind globalisation, from plugging into a wired and forward-looking society to feeling the constants of seaside life and mushroom hunts in the deep woods. Taken up from Tallinn to the Onion Road along Lake Peipsi, found behind each smoothly-turned and curved plywood suitcase, space-age teapot and internet-connected miniature weather station, are tales and personalities. 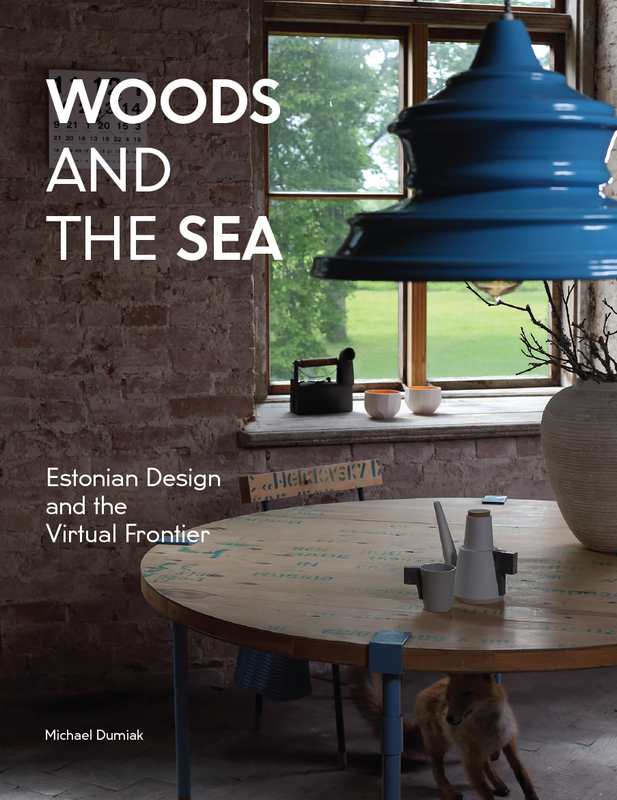 Woods and the Sea and two accompanying essays present the story and personality of Estonian design and its distinctive style by taking the reader to the source." Michael Dumiak is a Berlin-based writer and editor originally from Sumter, South Carolina, and over his 20-year career he’s reported on architecture, design, economics and science topics for Fortune, Architectural Record, Scientific American, Cosmos and Dwell. He first went to the Baltics in 2005 for a feature on tuberculosis clinics: while there he got an introduction to Estonia and its creative scenes. This is his first book-length take on Estonian designers.